Streamdata.io provides Proxy-as-a-Service which turns any API into a real-time experience, without requiring server-side code. Fortune500 and Fintech leaders use Streamdata.io to mesmerize their audience with real-time data, or feed their algorithms in real-time. When trading, and doing personal banking, users don't have time to waste by pressing a button to refresh a screen. Real-time data is crucial in many sectors, especially finance. 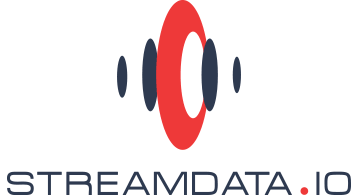 By providing data directly from market APIs to end users, Streamdata.io cuts inefficiencies associated with intermediary components: tromboning, bottlenecks and proprietary protocols, targeting a 500ms global dissemination of information. Compared to traditional architecture, Streamdata.io benchmarks shows offload of server CPU, and of outbound network by up to 99%. Currently servicing over a million devices in 14 countries with more than 10 billion API calls a month, Streamdata.io's clients include large banks for retail brokerage and derivatives trading, as well as Fintechs launching their new services, in Europe, Asia and USA. To ensure long-term compatibility and minimize integration effort, Streamdata.io relies on web standards (HTTP, REST API). Technology is available for all mobile platforms, web clients and servers and can be adopted in a few minutes. Data sources include complete global cross-asset market data with Xignite, social-trading with Stocktwits, analyst charting data from Trading Central, and a growing community of data collection backbones from IoT.